We all know what it is like to be invited to a holiday gathering and have no idea what to bring! No worries though, these quick and easy recipe are sure to be hits this holiday season. In a bowl, combine the cake mix, pumpkin, eggs, sugar, oil and pumpkin pie spice. Beat well. Pour batter into a greased 15x10x1 inch pan and bake at 350˚F for 25-35 minutes, or until a toothpick is inserted and comes out clean. 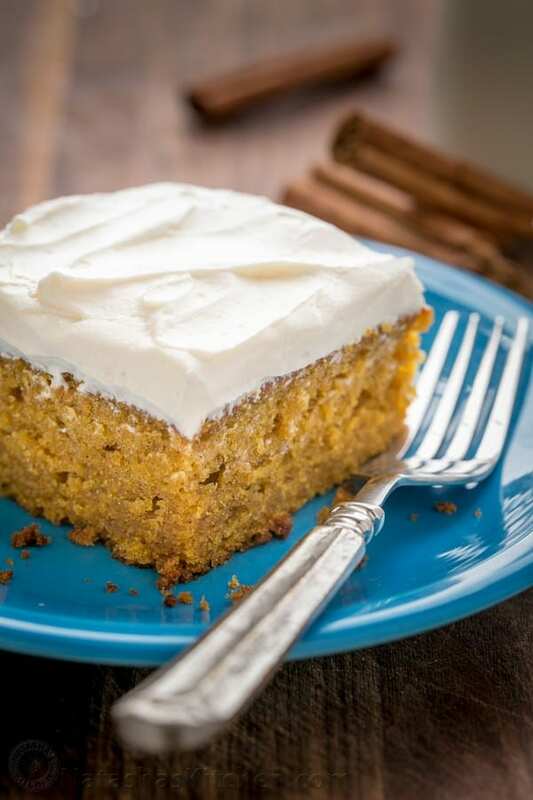 Beat frosting and cream cheese and spread onto cake after it has completely cooled. Keep the cake in the refrigerator and enjoy! Cook macaroni in large pot of boiling water. Melt butter in saucepan and stir in flour, salt, and pepper until smooth. Pour milk into the butter-flour mixture, stir continuously for 5 minutes or until smooth. Add cheddar cheese to mixture and stir until melted. 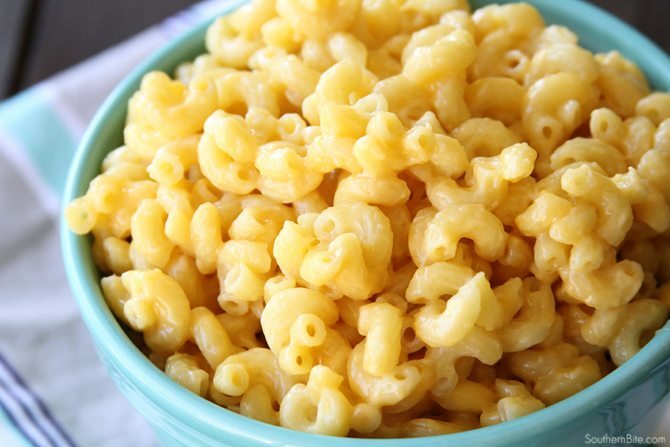 Fold the macaroni into the cheese sauce until everything is completely coated and enjoy! On a large baking sheet, toss sweet potatoes with butter, maple syrup, and salt and spread out evenly. Bake for 10 min. then flip the sweet potatoes and bake for 10 more min. 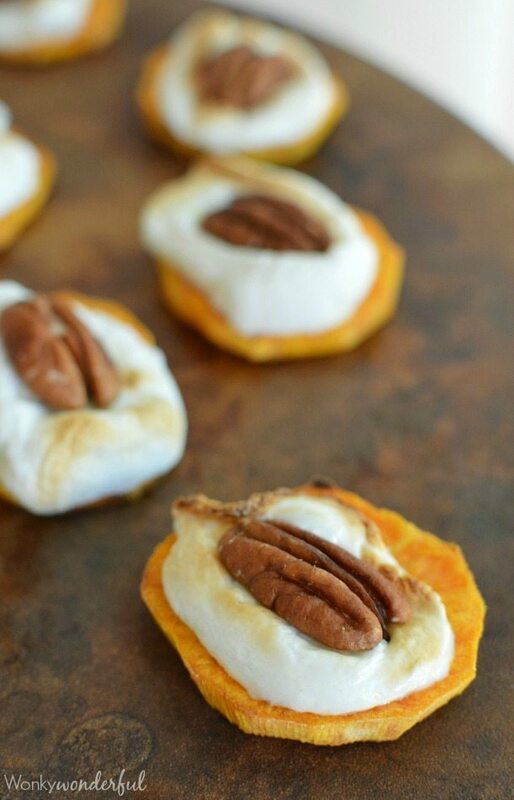 Top each sweet potato round with a marshmallow and broil until marshmallow is golden brown. Immediately top with a pecan half and serve! Preheat oven to 400˚F and lightly grease a 9 in. round cake pan. 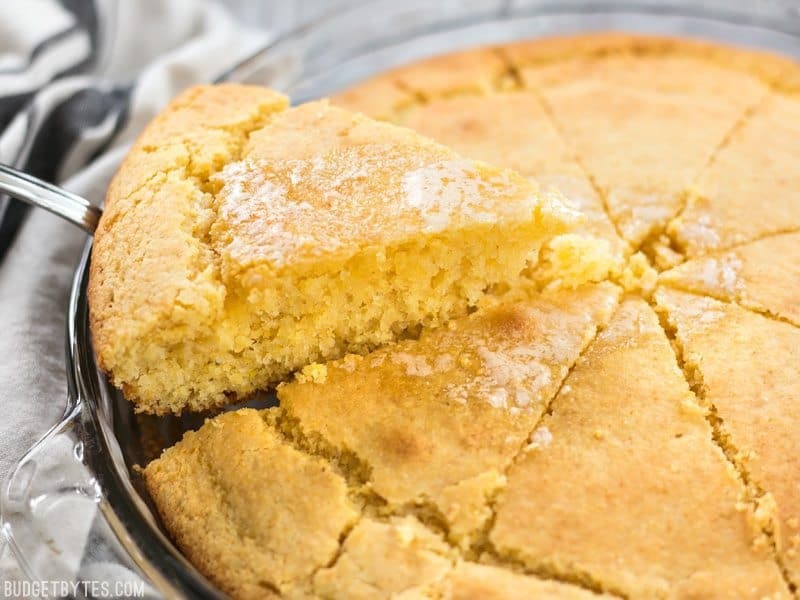 In large bowl, combine flour, cornmeal, sugar, salt, and baking powder. Bake in oven for 20-25 min. or until toothpick comes out clean. Preheat oven to 350˚F and butter a 10 in. cast iron skillet. Mix cranberries with 2 teaspoons of sugar. In large bowl, whisk flour, baking powder, salt and sugar. In small bowl, combine milk, egg, and butter then combine with the dry ingredient mixture. Pour batter into skillet, scatter cranberries on top, and bake for 25-30 min.